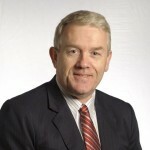 Hi this is Rob O’Byrne from Logistics Bureau. People often ask me what the most effective changes are that a business can make to their Supply Chain. Generally to reduce costs in supply chain, which is the thing that most Supply Chain managers are trying to do these days. But it’s hard to do that whilst maintaining or improving customer service, isn’t it? Well not that hard, actually. So in this series of videos and articles I’d like to share with you the 5 things that I found consistently make the biggest impact on Supply Chains. And what do I base that on? Well 35 Plus years in Supply Chain and Logistics, the last 20 or so in consulting, working with hundreds of businesses across 23 countries in total. That provides an interesting perspective on what really makes a difference and what doesn’t. You know I come across so many businesses struggling to fix multiple Supply Chain issues at once, or trying to manage a whole range of Supply Chain improvement projects concurrently. And what happens? They bog down and they get disheartened. They waste time, waste resources and waste money, instead of getting the benefits they so desperately need. You need to be more focussed on the outcomes you really want, to ensure that improvement actually occurs. OK, so onto my ‘5 key levers’. I’ll be covering these in detail at our upcoming free seminar series in Australia (registration here) but I’ll try to give you a summary here. And then in a series of 5 more videos coming soon, I’ll cover each in a bit more detail, so at least you can get the concepts, even if you can’t get along to our free events to get ALL the detail. Number 1 is getting your Supply Chain strategy right. 61% of businesses we recently surveyed don’t have a supply chain strategy, so don’t feel too bad if you don’t have one either. Many businesses I come across don’t even have a well defined business strategy! You can do a high level Supply Chain Strategy on 1 page. Firstly, define the business objectives. These are typically to make a certain level of profit, provide great service, good value to customers and the like. Make sure you get the most senior level input to these, or glean them from the business plan. Then articulate these in terms of Supply Chain objectives. What does the Supply Chain need to achieve to deliver those business objectives? Get the idea? It might be high levels of customer service or low supply chain costs. Those two are typically in there and I try to limit it to 4 main Supply Chain objectives to keep the business focussed on what really matters. Then, think about the key enablers that will help you achieve those supply chain objectives, and focus 80% of your effort on those. 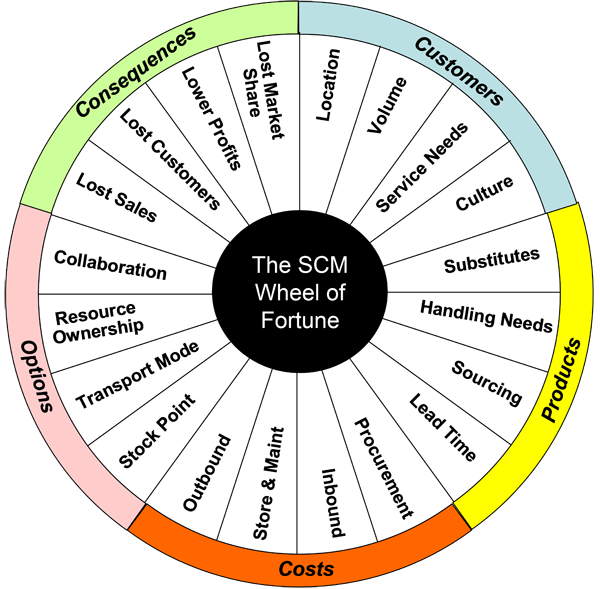 So if a high level of customer service is one of the Supply Chain objectives, you’ll need to focus on the things that help you deliver that. Like managing suppliers well, managing inventory effectively and so on. Then do that for each objective and you have your TARGET areas to get right in the Supply Chain. I’ll cover this in more detail in future videos and articles as with the next 4 key levers. I just want to give you the overall picture at this stage. Customers. Their location, their ordering patterns, their service needs. Products and how they need to be stored and handled. Costs such as inbound and outbound transport. Options you may have, such as asset ownership, transport modes and stock holding points. And finally, the consequences of your actions, such as lost sales and lost customers. Really understanding these and how they impact your Supply Chain performance is a great start to improvement. You’ll begin to understand which ones have the greatest impact on performance and which ones you can influence to make improvements. Number 3. Customer profitability. The supply chain has an enormous impact on customer profitability. And if you start to understand the key drivers I just mentioned, you will start to see ways to INCREASE customer profitability. Maybe by servicing them in different ways through different channels, for example. The absolute simplest way to increase customer profitability is to encourage or incentivise them to buy from you in larger quantities less frequently. Easier said than done I know. But I’ll give you some more ideas later in this series. Number 4. Managing your distribution network effectively. This is the network of warehouses and transport legs that get your products to your customers and consumers. Very often, these networks have grown up over time and can become very inefficient and costly. Some simple fixes can deliver huge benefits. Easy things to look for are space utilisation in warehouses and the ratio of in house versus overflow storage that’s being used. Overflow or ‘outside’ storage is usually much more expensive on a cost per unit basis. Small improvements in supplier and inventory management can drive down this need for warehouse space. Then look at your transport legs, whether you have your own fleet or have this outsourced like most organisations. Are the right transport assets being used to suit your demand profile? Or are trucks under utilised? And are you buying the right transport services at the right rates? Many organisations, for example, might use Express freight at a higher cost, when general freight might suffice for a large part of their transport needs. And finally, number 5. We all know that what you don’t measure you can’t manage. But do you measure the right things? I’ve seen monthly performance reports in some businesses that rival the yellow pages for their ability to destroy the rain forests! In my own businesses I insist on a 1 page summary report only. Then if I need more information, I’ll ask for it. And I rarely need to ask for more. So think about your Supply Chain Strategy and the objectives of your supply chain. Then maybe pick 2 high level KPIs for each objective. What would they be for you? The ones that would really give you the BEST indication of performance. And Remember the K in KPIs, it stands for KEY. So that’s a quick summary of what I consider to be the 5 key levers to Supply Chain success and reducing your Supply chain costs. Get a strategy in place; understand your key cost and service drivers; use this to manage and increase customer profitability; then look at your distribution network efficiency, and finally, measure the right LIMITED range of performance metrics that will help you drive improvements. I’ll follow up this video soon with a separate video and article on each of the 5 key levers in a bit more detail. But for those of you in Australia in February, why not come along to our free half day seminars because I really need at least half a day to share all this detail with you, so that you can start to use this knowledge to build your own Supply Chain Success. The registration link is below. See you again soon.